The 16x9 Inc 169-HDSF45X-72 is a fisheye lens adapter for 72mm Filter Thread camcorders. This 0.45x adapter allows the user to increase the angle of view by 55% at the wide angle setting of the main lens. 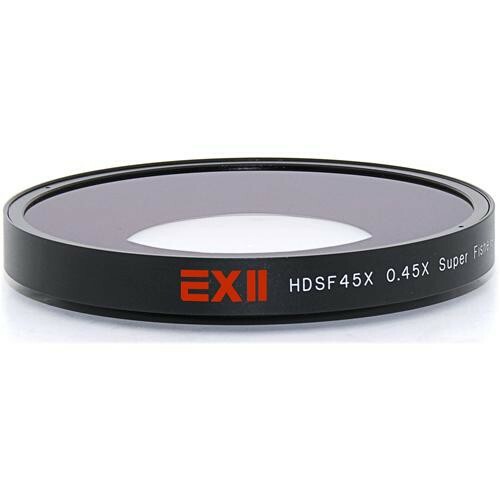 Dimensions (LxDiameter) 1.57 x 4.72"
Box Dimensions (LxWxH) 6.0 x 5.7 x 3.1"
169-HDSF45X-72 EXII Fisheye Converter Lens is rated 4.0 out of 5 by 1.